Goodbye To Another Part Of Our Childhood! Nichelle Nichols, Leonard Nimoy, George Takei, William Shatner, Walter Koenig, DeForest Kelley and James Doohan. There is an air of gloom around Jammy Toast today after the news yesterday that actor Leonard Nimoy, who played Mr Spoke in the cult sci-fi TV series Star Trek, has died at the age of 83. He had a long career as both an actor and director, however, he was best known for his portrayal of the half-human, half-Vulcan character in both the TV franchise and the series of films. Last year, the actor revealed he was suffering chronic lung disease COPD, despite stopping smoking 30 years ago. It was reported earlier this week he had been taken to hospital suffering from chest pains. He later tweeted; “A life is like a garden. Perfect moments can be had, but not preserved, except in memory.” He signed off what was to be his final tweet with “LLAP” – a reference to his character’s famous catchphrase, “Live long and prosper”. 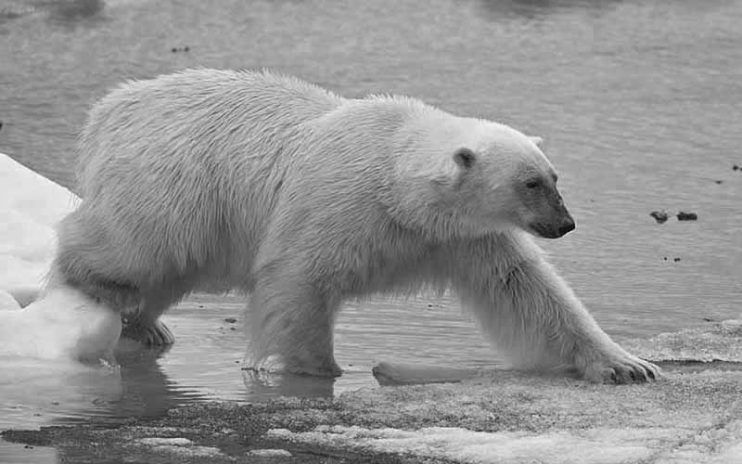 Today at Jammy Toast we are celebrating International Polar Bear Day. Polar Bear Day is a holiday celebrated every 27th February to raise awareness about the conservation status of the polar bear. It is organized by Polar Bears International to raise awareness about the impact of global warming and reduced sea ice on polar bear populations. The holiday encourages people to find ways to reduce their carbon output, such as by turning down their thermostat or driving less. The holiday has also been used to encourage the installation of energy efficient insulation in houses. Here at Jammy Toast we love local celebrities – normal people who make others happy while performing their local duties. Who remembers Ziggy Dust who, to this day, is still one of our Bear Heroes? Now we have found another man who just makes others happy while performing his job as a lollipop man. Nkosana Mdikane, 74, is known as “Scotland’s happiest lollipop man” due to his singing, dancing and “high-fiving” the children as he crosses them across the road. However, as is always the case when someone is making others happy, the bureaucrats from the local council have to step in a ruin the fun and have banned Nkosana from his “high-fiving”. West Dunbartonshire Council said safety fears were behind the decision. Once upon a time, here at Jammy Toast, we used to be in love with Coke and Pepsi. We used to get through large quantities of the secret recipe every week loving the taste of the world’s favourite drink. Now it appears we are following the British trend of falling out of love with Coke and Pepsi and instead we’re pouring energy drinks down our necks. “It used to be you’d see people on the bus drinking a can of coke, now they’ve got an energy drink,” says Olly Wehring, editor of the industry’s magazine Just Drinks. And the numbers seem to back him up – recent years have seen a huge surge in the popularity of energy drinks and it’s mostly at the expense of more traditional cola drinks. We may not think Liverpool is perfect, but then neither is Clarkson! The Mayor of Liverpool has joined the outcry against Jeremy Clarkson’s comments about Liverpool and has branded the Top Gear presenter an “Oaf” and a “Buffoon”. Joe Anderson now plans to speak to the BBC over the presenter’s Sunday Times column, which included a description of a recent stay in the city. Clarkson claimed people from the city “earn less, die more quickly, have fewer jobs and live in houses that are worth the square root of sod all”. The motor-mouthed TV star also claimed a waitress didn’t know what a kipper was during a visit earlier this month.